Is Cloud’s Reputation Turning Around? Is the cloud secure? Yes. Today’s cloud is no longer known for being unsafe, but instead is known for its security and ease of use. 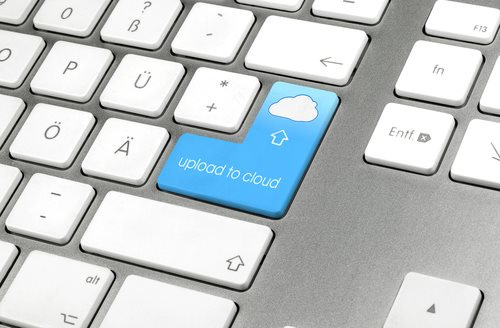 Cloud hosting solutions have completely changed our approach to digital storage. This, however, isn’t without resistance from some businesses, particularly those who see issues of security as unresolved. Fortunately, time brings reassurance and strengthens trust in emerging technologies, and the more popular cloud becomes, the more developers focus on solving security issues. Recent years have seen some big PR nightmares in terms of digital security breaches. As a result, businesses are paying increased attention to sources of such attacks, while also realizing cloud solutions can actually provide more security than some on-premise solutions. The cloud’s reputation looks to be turning around, which, moving forward, is beneficial for all parties involved. Cloud services make life easier and business better. The numerous advantages cloud computing offers have pushed companies to learn more about the service. When businesses are shown the collaborative communication tools at hand, and see how these applications can increase productivity, they are usually pleasantly surprised. Consumers, as a whole, are fast becoming more educated as to the benefits of the cloud, which is breaking down resistance to the technology. With widespread adoption throughout an enterprise, employees can work together quickly and efficiently to collaborate on projects, regardless of location. Travel expenses are greatly reduced because the tools—especially videoconferencing—are robust and easily accessed from anywhere. Businesses big or small can take advantage of the benefits of collaborative cloud applications without the cost of onsite infrastructure. Once a company has experienced a major security breach and/or data loss, they begin to take data storage more seriously. The number of companies looking into alternatives to the traditional back-up has been steadily growing, and realizing storing data in the cloud is often more secure than their own on-premise solution. There are extra security measures taken with cloud off-site data storage, and cloud companies now must follow industry-standard protocols when it comes to security offerings. And, because there are many options available from cloud provides, there are also additional benefits associated with cost and scalability. Customers also expect cloud service providers to offer 24-hour surveillance of cloud facilities in order to mitigate security risks. IT teams want services that run on overlay networks and offer sophisticated encryption; including encrypted transmissions. When a great cloud service company can provide this, it is music to the IT department’ ears. The pros of cloud computing are clear and cloud providers have done their best to adequately address the perceived cons. Cloud providers have evolved over the years to specifically address concerns about data security, and through research and education customers are realizing that today’s cloud is not known for being unsafe, but instead is known for its security and ease of use. Along with enhanced security measures, businesses are seeing all the collaborative and communication benefits the cloud applications offer, giving CIOs peace of mind. The cloud’s reputation is no longer about free, risky apps, but one of a vital business tool that increases productivity and efficiency, and cuts costs, putting organizations on the road to success.